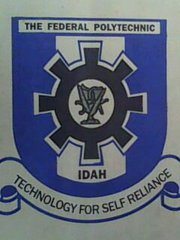 Federal Poly Idah admission list for ND candidates is out. The Federal Polytechnic Idah (FPI) ND admission lists for 2018/2019 academic session is out. The released Federal Polytechnic Idah list is that containing names of candidates who have been offered provisional admission into National Diploma programmes of the institution. The authorities of the Federal Polytechnic Idah, Kogi State (FPI) have now uploaded the first batch ND admission list for 2018/2019 session to the school portal. Candidates can now go online to check. Finally, click on ‘Check Admission Status‘ to access your 2018/2019 FPI admission status. Search for your admission status using your JAMB/FORM Number or SURNAME or DEPARTMENT. We congratulate all candidates whose names appear on the Federal Polytechnic Idah (FPI), Kogi State admission list (ND) for the 2018/2019 academic session.